OCBC Bank has become the first bank in Singapore to set up an artificial intelligence (AI) unit “to strategically develop in-house AI capabilities”. The bank will invest up to $10 million in it over three years. “The pioneering team of three data scientists, led by Singaporean Ken Wong, will drive the adoption of AI across banking services such as wealth advisory and loans financing,” the bank says. “With the set-up of our very own AI lab, we are able to experiment for the first time with deep learning neural networks and graphics processing units, which are heavily used in the gaming industry and hardly used in banking,” Wong says. The unit – called AI Lab@TOV – plans to double its headcount within a year “to manage the surge in AI technologies that the bank plans to implement”. 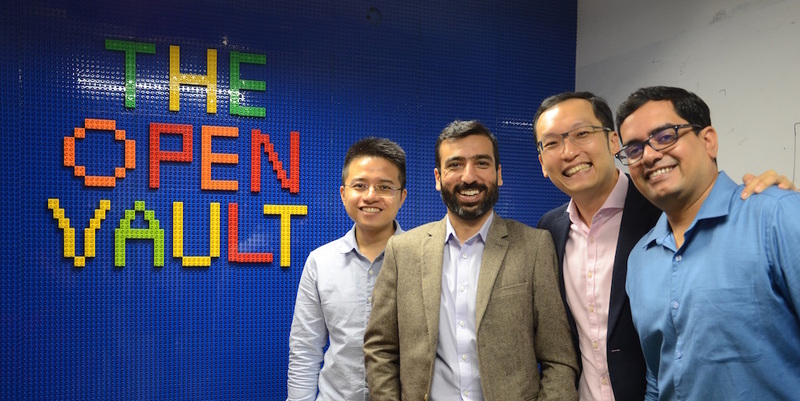 It sits within OCBC Bank’s fintech and innovation group, The Open Vault at OCBC (TOV). It will serve as a “test bed” for all new AI technologies and will demonstrate the feasibility of new technology before it is integrated into the bank’s existing systems. It will experiment with real-life anonymous customer data leveraging the bank’s data sandbox and APIs, generating various proofs of concept (PoC). AI Lab@TOV will apply natural language and speech processing technology from the Agency for Science, Technology and Research (A*STAR) to develop solutions that can recognise and understand local accents accurately, such as the Singaporean accent. If successful, it could be used to create chatbot services that can respond to customers using voice messaging. The AI unit will also work with Amazon Web Services (AWS) DeepLens, the world’s first deep learning video camera for developers, to create “a more personalised experience” for OCBC customers – leveraging facial recognition technology that could be deployed at OCBC Bank branches or ATMs. Pranav Seth, head of e-business, business transformation and fintech and innovation group, believes AI will “redefine all aspects of banking” and its “impact cannot be ignored”. “The time to act on AI is now! It is integral to digital banking, or what we call ‘the new digital’,” he states. OCBC Bank has been working on a number of AI projects, including the launch of the Emma chatbot in 2016 (developed with a fintech start-up, Cognicor) and using AI software from another start-up, Thetaray, to identify potential suspicious transactions. The bank says both initiatives have been successful in increasing operational efficiency and derive new revenue streams. Emma, which responds to customer queries on home and renovation loans, has helped to bring more than SGD 100 million ($76.3 million) in home loans; while Thetaray’s solution has reduced the volume of transactions reviewed by anti-money laundering (AML) compliance analysts by 35% and increased the accuracy rate of identifying suspicious transactions more than four-fold.